Political candidates are marketed to voters using the magic of music. Paul Christiansen, associate professor of music at Seton Hall University, delves into the way music is used to sway the public one way or the other. Dr. Paul Christiansen is a musicologist specializing in Czech music and music in political advertisements. 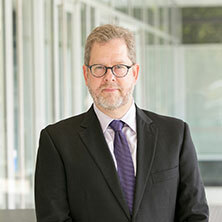 He recently completed a book manuscript entitled Orchestrating Public Opinion: How Music Persuades in Television Political Ads for US Presidential Campaigns, 1952-2016. Supported by fellowships and grants from Fulbright, Deutscher Akademischer Austausch Dienst, and the American Musicological Society, his work has appeared in New Grove Dictionary of Music and Musicians, Journal of Musicological Research, Notes, ECHO: a music-centered journal, Plainsong and Medieval Music, Journal of the Society for American Music, MedieKultur: Journal of Media and Communication Research, Music and Politics, and 19th-Century Music. Before coming to Seton Hall, he taught at universities in California, New England and the Czech Republic. Twice unsuccessful presidential candidate Adlai Stevenson once said, “The idea that you can merchandise candidates for high office like breakfast cereal—that you can gather votes like box tops—is, I think, the ultimate indignity to the democratic process.” Yet political candidates are often marketed on television and the internet like consumer products. When talking about political ads, people discuss images and voiceover, often overlooking music and sound effects. What role does music play? My research of the most effective campaign ad music, especially in presidential ones from 1952 until now, taps into the political Zeitgeist. Eisenhower’s 1952 “I Like Ike” featured a jaunty march for a respected general after a monumental victory, Reagan’s 1984 “Morning in America” was a cinematic, orchestral paean to a popular actor-turned-president, and Bush’s 2004 “Wolves” creates a mini-horror film score and forest animal mythology as an analogy to terrorist cells waging asymmetrical warfare. During the 2016 campaign season, the two most engaging TV political ads from a musical point of view (and ones that tapped into the Zeitgeist) are not from the current general election, but rather for the Bernie Sanders campaign. Diplo’s “Revolution” and Simon and Garfunkel’s “America,” had a positive, uplifting message. Current ads include Trump’s “Outsourcing,” which asserts that the Clinton Foundation made millions by advocating for job outsourcing to India. Music in the ad sounds like Bollywood film underscoring. Clinton’s ad “Shirts” uses majestic trumpet and military drum cadences to present a musical patriotism meant to contrast with Trump having his clothing line produced in foreign countries. The more aware we are of music’s hidden potency, the less it will work its magic unchecked. An educated and critically engaged electorate is necessary for a properly functioning democracy, and the public should know how campaigns attempt to manipulate them with music.